On March 10 Admiral Kurt Tidd, the new commander of Southern Command (SOUTHCOM), testified before the Senate Armed Services Committee and presented his posture statement. In his analysis of Western Hemisphere geopolitics and security issues, he acknowledged that he does not possess sufficient vessels to carry out SOUTHCOM’s multiple maritime operations. This statement serves as an ideal point of departure for one of SOUTHCOM’s arguably least well-known agencies, the U.S. Fourth Fleet (FOURTHFLT). The history of the Fourth Fleet is actually fairly brief. It was created in 1943 and tasked with protecting the South Atlantic Ocean from Axis warships and submarines. Nazi German vessels had a fairly constant presence in that area, best exemplified by the Admiral Graf Spee incident in 1939. The FOURTHFLT existed for a short period after the war ended as it was dissolved in 1950 and its area of operations was inherited by the Second Fleet. In 2008, then-President George W. Bush reactivated the Fourth Fleet. It was officially reestablished on July 12 and its headquarters is shared with U.S. Naval Forces Southern Command (USNAVSO). The commander of USNAVSO (COMUSNAVSO) is also the commander of the Fourth Fleet; currently that officer is Rear Admiral George Ballance. 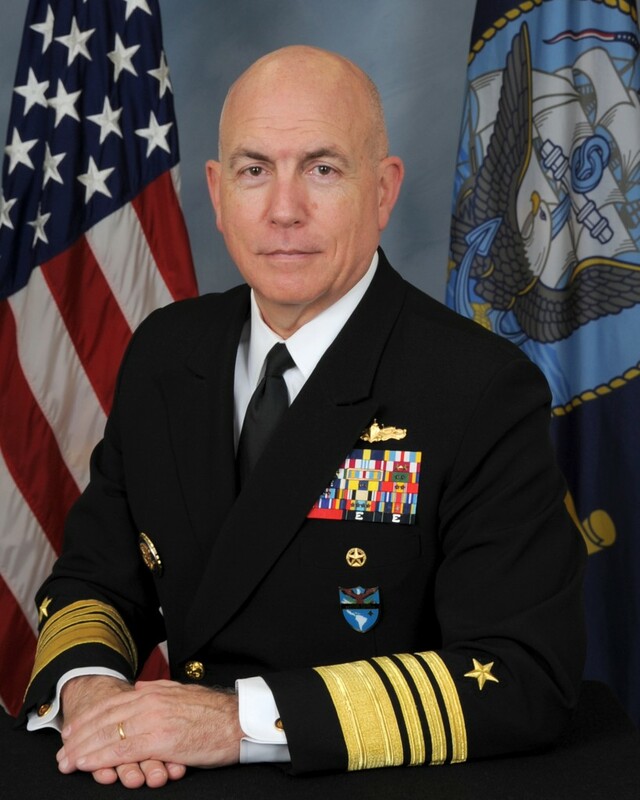 It is important to note that the current SOUTHCOM commander is no stranger to the Fourth Fleet since then-Rear Admiral Tidd was the COMUSNAVSO/FOURTHFLT commander from 2011 to 2012. He first relieved Rear Admiral Vic Guillory and was subsequently relieved by Rear Admiral Sinclair Harris a year later. “The mission executed day in and day out by the men and women of the NAVSO/4th Fleet team is important; we are operating on the seas and in the littorals throughout the region every day, building and strengthening partnerships with nations who share a common heritage and a common sense of purpose with us,” Admiral Tidd said during the 2012 change of command ceremony. Admiral Tidd would return to SOUTHCOM this past January 14, when he became its newest commander. Commander Bio Photo: Adm. Kurt W. Tidd. Source: SOUTHCOM. The Fourth Fleet’s reestablishment must be placed in the proper geopolitical context. In 2008, the hemisphere was sprinkled with several Latin American governments that held anti-U.S. sentiments. Then-President Hugo Chavez spent billions of Venezuelan petro-dollars to modernize his country’s military by purchasing equipment from Russia and China, while critiquing “el imperio.” The governments in Bolivia, Ecuador, and Nicaragua had a similar ideology, while the Lula government in Brazil and the Kirchners in Argentina were neutral at best, if not occasional critics of Washington’s historical hegemony in the region. Moreover, in 2008 Russian warships visited the Caribbean, carrying out exercises with the Venezuelan Navy. In other words, in 2008 there was a geopolitical logic for reestablishing the Fourth Fleet. This was a highly-visible method for Washington to remind the world that it remained the sole military power in the Western Hemisphere. No vessels or aircrafts will be permanently assigned to U.S. Fourth Fleet as part of the re-establishment. U.S. Fourth Fleet is an organizational fleet staffed to fulfill a planning and coordination mission. U.S. Fourth Fleet is focused on strengthening friendships and partnerships and will have five missions: support for peacekeeping, Humanitarian Assistance, Disaster Relief, traditional maritime exercises, and counterdrug support operations. Even though it has no permanently assigned vessels, the ships it oversees have helped the FOURTHFLT have an ongoing presence in Latin American and Caribbean waters. A major initiative occurred in late 2015 when the carrier USS George Washington and its support vessels (i.e. the USS Bighorn, USS Guadalupe, among others), took part in the Southern Seas 2015 deployment. This included their participation in the multinational UNITAS 2015 exercises as well as making port calls in Brazil, Chile, and Peru. The previous year, the USS America took a tour of the Western Hemisphere during which it docked in Colombia, Brazil, Chile, and Peru. As impressive as the carrier George Washington is, it is the USNS Comfort which arguably has the most continuous presence in the region. 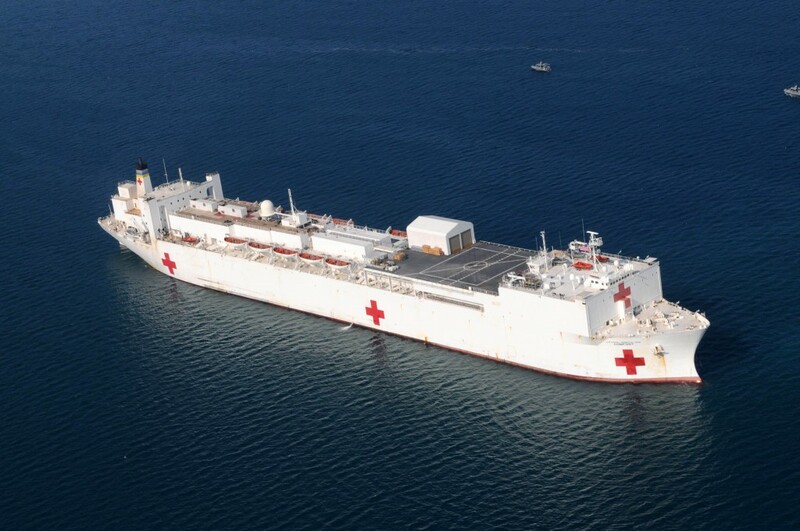 The U.S. Navy’s hospital vessel regularly travels throughout the Caribbean and Central America to provide humanitarian support. From April to September of last year, the vessel took in part in Continuing Promise 2015, in which the Comfort visited a total of 11 countries, from Guatemala to Dominica, carrying out procedures like general surgery, ophthalmologic surgery, veterinary services and public health training. This was the Comfort’s fourth trip as part of the Continuing Promise initiative. According to SOUTHCOM, the vessel previously participated in the mission’s 2007, 2009 and 2011 incarnations. Finally, various U.S. Navy warships regularly patrol the Caribbean Sea in order to help partner nations combat illicit trafficking. In the interest of brevity we will provide only a couple of examples. In 2014, the USS Vandegrift, in a joint operation with the U.S. Coast Guard, successfully stopped a suspicious vessel off the coast of Central America. 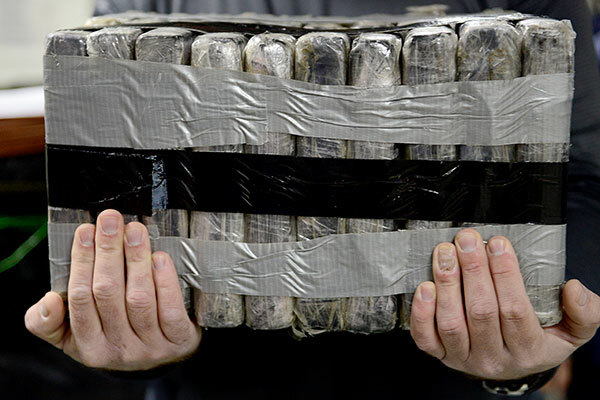 Upon boarding the vessel, security personnel found almost two thousand pounds of cocaine. More recently, in January 2015, the USS Gary and the U.S. Coast Guard successfully seized more than 1644 kilograms of cocaine from a “go fast” vessel. These two operations were part of Operation Martillo. Coast Guard and other federal law enforcement officials work together to offload more than eight and a half tons of cocaine from the USS Vandergrift at Naval Base San Diego, Dec. 19, 2014. (USCG photo by Petty Officer 2nd Class Connie Terrell). As for the Fourth Fleet’s upcoming operations, in an interview with the author, a USNAVSO/FOURTHFLT spokesperson explained that it “will conduct Southern Partnership Station 2016 with USNS Spearhead (JHSV-1) and multinational exercises UNITAS and PANAMAX 2016. We are also supporting a bilateral exercise with Peru, Silent Forces Exercise, and Integrated Advance with SOUTHCOM, this year being a mass migration exercise.” Additionally, ships like the USS Lassen and USS Shamal will participate in Operation Martillo. The aforementioned examples demonstrate how the FOURFLT has an active presence in Latin American and Caribbean waters, and has successfully partnered with friendly nations to jointly crack down on transnational maritime crimes. Does the Navy Need The FOURTHFLT? The intention of this commentary is not to criticize U.S. naval operations in Latin America and the Caribbean. Rather, the goal here is to understand how the FOURTHFLT has helped SOUTHCOM. On February 12, the American Enterprise Institute (AEI) organized an on-the-record event entitled “A Navy in Balance? A Conversation with Admiral John Richardson, Chief of Naval Operations.”During the Question & Answer section, this author asked Admiral Richardson whether the Fourth Fleet is necessary, given that it only seems to have the USNS Comfort on a quasi-regular basis while it rotates its other vessels instead of having any permanently deployed to it. The Admiral responded that the Fourth Fleet is “very important” and mentioned the aforementioned USS George Washington deployment and the success of security operations in the Caribbean. “The productivity of that fleet continues to show its value,” the Admiral declared. 010120-N-4995K-038 PORT-AU-PRINCE, Haiti (Jan. 20, 2010) The 1,000 bed hospital ship USNS Comfort anchored just off of the coast of Haiti in support of Operation Unified Relief: Haiti. (U.S. Navy photo by Mass Communication Specialist 2nd Class (AW) Chelsea Kennedy/RELEASED). 2. Another issue is whether the Fourth Fleet has brought any clear budget or equipment-related advantages to SOUTHCOM. In 2014, six years after the Fourth Fleet was reinstated, then-SOUTHCOM commander General John Kelly declared in his posture statement to the House Armed Services Committee that, “as the lowest priority Geographic Combatant Command, U.S. Southern Command will likely receive little, if any, ‘trickle down’ of restored funding. Ultimately, the cumulative impact of our reduced engagement will be measured in terms of U.S. influence, leadership, and relationships in the Western Hemisphere.”The former commander indirectly talked about the Fourth Fleet, stating that “insufficient maritime surface vessels and intelligence, surveillance, and reconnaissance platforms impair our primary mission to detect threats and defend the southern approaches to the U.S. homeland.” (The 2014, 2015, and 2016 posture statements list activities carried out by USNAVSO/FOURTHFLT). Regarding the acquisition of additional equipment, in an interview with the author, SOUTHCOM spokesperson Jose Ruiz explained that SOUTHCOM “submits requests for naval resources, including personnel, ships and aircraft, through the Joint Staff. We work the requests with our naval component, [USNAVSO]. The military services weigh all geographic combatant command requests for people and platforms against prioritized national security requirements around the globe, and allocate resources to our command based on what is available after higher priority national security needs are met.” Spokesperson Ruiz added SOUTHCOM does not exclusively rely on the U.S. Navy “for maritime resources to accomplish important missions […] Other important interagency partners, such as the U.S. Coast Guard and U.S. Customs and Border Protection also provide key sea and air platforms and forces to support those missions.” (This author has discussed U.S. Coast Guard activities in the Greater Caribbean in “The US Coast Guard’s Western Hemisphere Strategy”). In his posture statement Admiral Tidd explained the success of the various U.S. security and defense agencies (including the Coast Guard and law enforcement agencies) that come together under the umbrella of Joint Interagency Task Force South (JIATF-S) to combat transnational organized crime (TOC) in SOUTHCOM’s area of operations. Nevertheless, during his testimony to the Senate, when asked about his lack of resources he simply stated that “I do not have the ships, I do not have the aircraft” to deal with the amount of TOC in the region. He explained that at any given time, he may have on average five to six surface ships, namely Coast Guard platforms, and one to two Navy platforms, while he ideally needs 21 vessels. Thus, it would appear that the FOURTFLT has not brought additional resources to SOUTHCOM. 3. The one clear advantage brought by the reestablishment of the Fleet is that it helped the U.S. military appear to have a bigger presence in the Western Hemisphere in the eyes of Latin American and Caribbean states, not to mention nations like Russia and China. The word “fleet” conjures images of a plethora of frigates, submarines, and a carrier or two docked in Florida, under SOUTHCOM’s command. Hence, it comes as no surprise when the FOURTHFLT was reinstated, media outlets around the region published numerous commentaries about Washington’s plans – case in point, a 2008 commentary in the Colombian daily El Espectador has the headline “The Return of the Fourth Fleet: What is the objective of this new initiative by the U.S. government?” Unsurprisingly, the Venezuelan government critiqued this decision. Nevertheless, Admiral Tidd’s posture statement explains that “Russia’s actions [in Latin America and the Caribbean] are directly connected to its broader global efforts to demonstrate that Russia is a global power capable of challenging U.S. leadership and the established rules-based international system.” (P. 8-9). Thus, the FOURTHFLT’s shortage of Naval platforms (Coast Guard vessels notwithstanding) is arguably affecting SOUTHCOM’s, and by extension Washington’s, influence in Latin America and the Caribbean to Moscow’s benefit. To recapitulate, the objective of this analysis is not to critique U.S. naval operations, but rather question the necessity of the Fourth Fleet itself. U.S. Navy vessels have participated in training exercises with regional partners as well as security initiatives like Operation Martillo. Moreover, the 2010 Haiti earthquake highlights how having the Fourth Fleet has provided a more robust command chain which SOUTHCOM can utilize for future major operations. 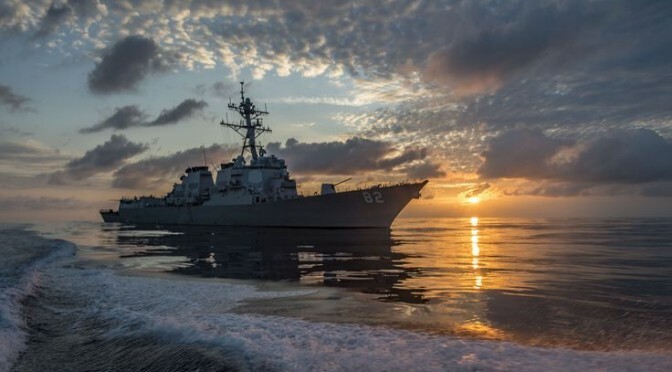 Nevertheless, it is the opinion of this author that the Fourth Fleet’s reestablishment has not brought any major budgetary or equipment-related advantages. Moreover, given Washington’s focus on Syria, Russia and China, it is unlikely that SOUTHCOM will receive additional naval resources soon. The author would like to thank the Public Affairs offices of SOUTHCOM and USNAVSO/FOURTHFLT for their help in drafting this report. Looking at forces regularly deployed it is apparent, this is far more important to the Coast Guard than to the Navy and despite the disparity in the size of the two services, the Coast Guard invests far more assets in the region than the Navy. The nations of the region in general view USN ships with suspicion, Coast Guard ships tend to be much more welcome. The US would do well to restructure in such a way as to deemphasize the military character of our presence there. Chuck, many thanks for your comment! At some point in the future I would like to compare/contrast Coast Guard and Fourth Fleet activities in the region (including how regional governments perceive them, specially in the Greater Caribbean). Alas I was out of space in this piece to do such an analysis proper justice. At one point Costa Rica’s government refused to allow entry by USN vessels but continued to welcome USCG vessels. There has been a long association between the USCG and Costa Rica’s Coast Guard, which is their only armed service. Good place for the LCS/FF’s or what ever.